She's been in Mallorca to celebrate her younger brother's wedding. But Jess Wright ensured all eyes were on her as she soaked up the Spanish sunshine in a selection of sultry swimwear over the weekend as her sibling Josh, 28, tied the knot with long-term love Hollie Kane, 25. The reality star, 32, showed off her washboard abs in a rainbow bandeau bikini as she posed by a picturesque port. The former TOWIE personality wore her raven tresses loose in a beachy style, and added a pair of aviator sunglasses to protect her eyes from the sun. On Saturday, the brunette beauty shared another picture, this time wearing a white swimsuit with cut out detailing. The TV star showed off her ample assets, pulling her hair off her face with a headband as she enjoyed a drink by the sea. Also taking to social media to post about their Spanish getaway was the groom himself, who shared a series of snaps and videos from Sunday. 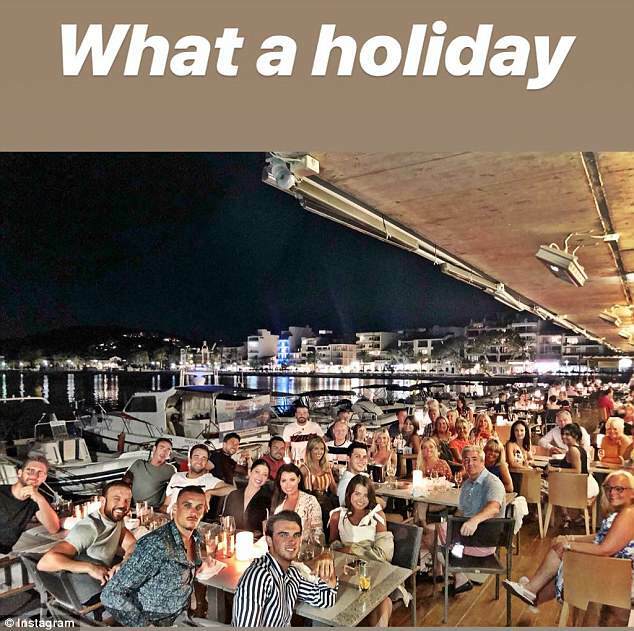 The wedding party ate an al fresco dinner at Stay restaurant, and Josh snapped a picture of the group with the caption 'what a holiday'. 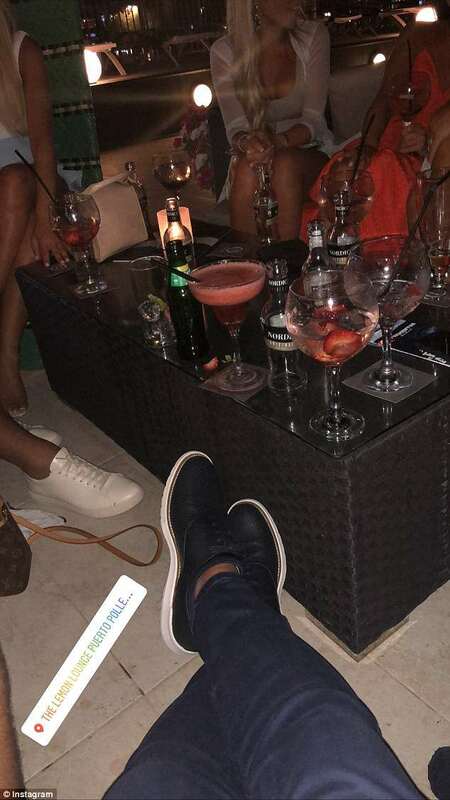 But the night didn't end there, with the professional footballer and his pals then heading to the Lemon Lounge. 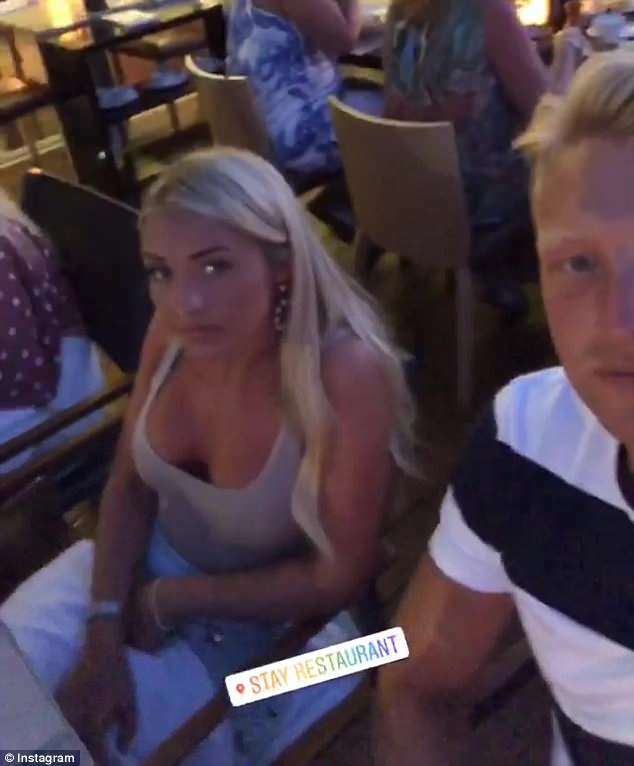 Josh proposed to Hollie in May 2017 during a romantic trip to Dubai, and brother Mark Wright, 31, took to Instagram to share a snap of the special moment along with his congratulations. Thrilled for the pair, the TV presenter himself later posted a picture of the special moment, captioning it with his best wishes. 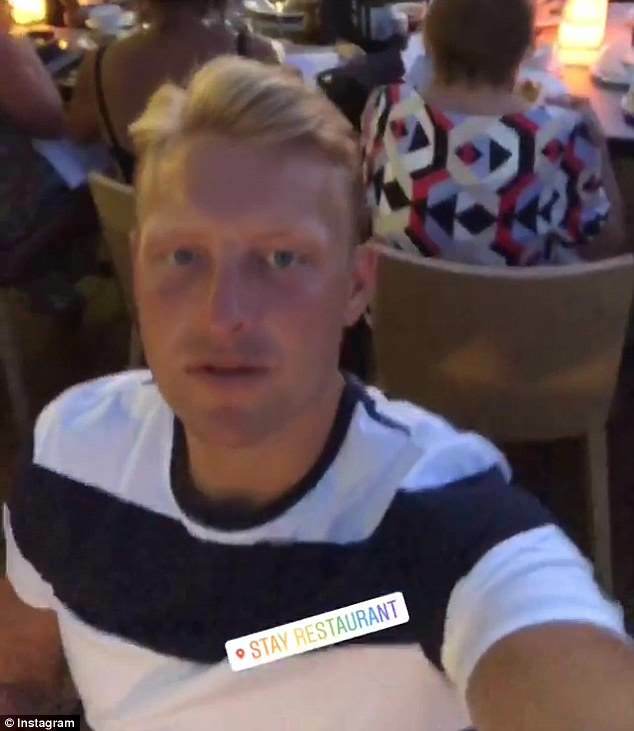 He wrote: 'My brother @joshwright4444 proposing to his new fiancé @kanehollie tonight in Dubai. The couple themselves also announced the news on the photo sharing site. They both posted the same arty snap of their hands - her's with a ring now on it - over some strewn rose petals.